According to Commission Regulation (EU) 748/2012, organisations that design aircraft; changes to aircraft; repairs of aircraft; and parts and appliances need to fulfil the requirements as defined in Annex 1 (which is called “Part 21”). Such organisations need to demonstrate that they have the right organisation, procedures, competencies and resources. 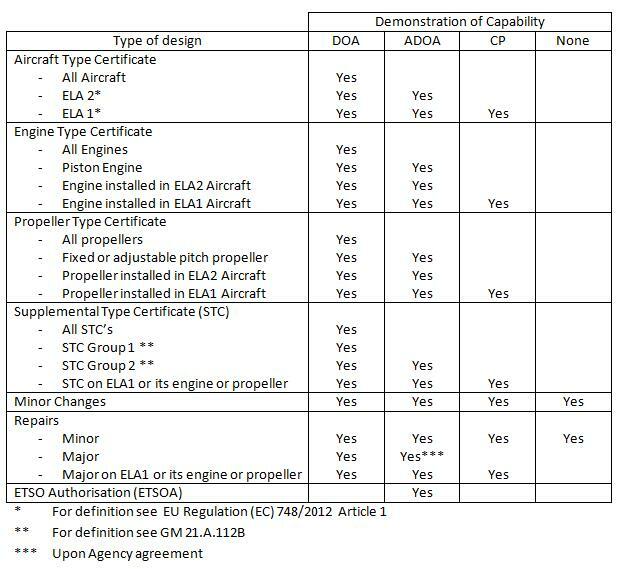 For organisations located outside EASA Member States (EU Member States, plus Norway, Iceland, Liechtenstein and Switzerland), derogation to this demonstration of capability is possible, either through bilateral agreements or use of article 8.2 of Commission Regulation (EU) No 748/2012.